Suzette's Saga is a contemporary drama that examines the universal subjects of colorism (tension between lighter and darker skinned individuals), and the relationship, Suzette, has with herself, siblings, and others. The story begins in 1965 when Suzette, 15 years old, embarks on a journey to unearth the truth about her biological father. Her mother, Josephine, is unwilling to shed light (and subsequently her own indiscretion) on Suzette's paternal uncertainty. Suzette later befriends co-worker Angela, who brings an unexpected reveal to Suzette. The story ends in 2001 when Suzette becomes a grandmother. Is the game of life played better on the Scrabble board? Suzette's Saga is a coming-of-age story filled with love, laughter, pain, and healing. Its gut-wrenching honesty illustrates universal concepts that cross color lines, touch hearts, and permeate souls. It brings any audience to their feet as they connect with various aspects of the story. 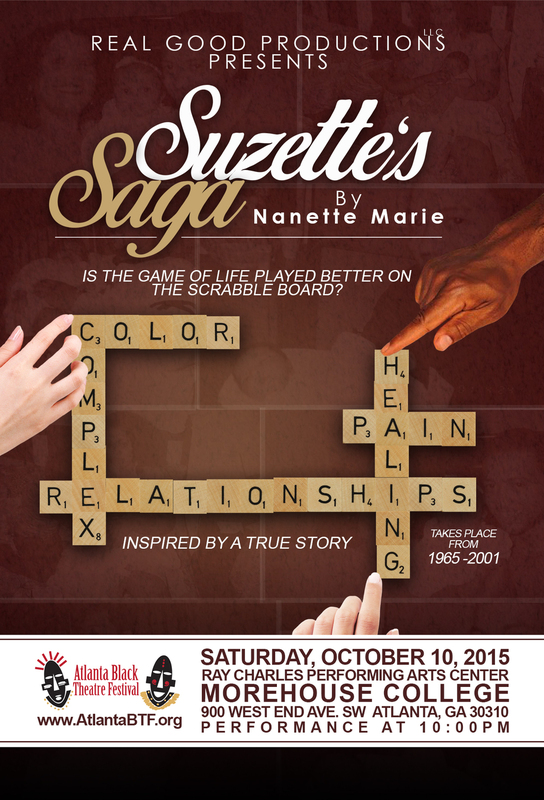 Suzette’s Saga will be performed at The Atlanta Black Theatre Festival on Saturday, October 10, 2015 at 10p.m. in The Ray Charles Performing Arts Center on the campus of the historic Morehouse College. 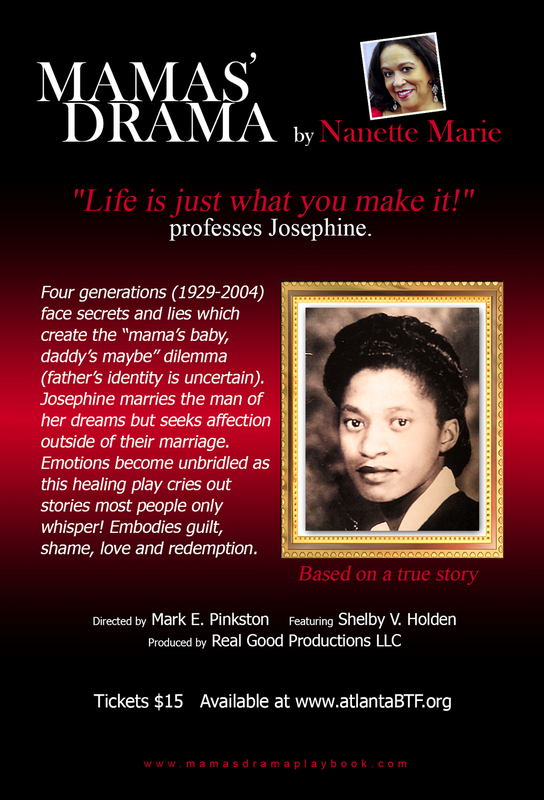 Suzette’s Saga is inspired by a true story, and adapted from the book, Mamas’ Drama, by Nanette Marie. Tickets available at www.Atlantabtf.org. MAMAS' DRAMA RETURNS TO COLUMBUS! PERFORMED AT THE ATLANTA BLACK THEATRE FESTIVAL, THE DC BLACK THEATRE FESTIVAL, THE NATIONAL BLACK THEATRE FESTIVAL AND THE COLUMBUS ARTS FESTIVAL. AUDIENCES ARE CAPTIVATED BY THE RAW TRUTH PORTRAYED ON STAGE! Advance tickets are $15 are available at www.eventbrite/e/mamasdrama.com. Tickets at the door are $20 cash. Discounts on advance group purchases (25+) by calling 614-754-0684. Pre-show, "Roaring Twenties" by the In Retrospect dancers from the Marion-Franklin Community Recreation Center will grace the stage 30 minutes before each performance. Suzette's Saga is a contemporary drama that examines the universal subjects of, colorism (tension between lighter and darker skin individuals), children born from extramarital affairs, and how these elements affect family relationships. The story begins in 1965 when Suzette is 15 years old, and embarks on a journey to unearth the truth about her biological father. Suzette’s siblings do not emphasize with her, and her questionable heritage garners many rumors and speculation over the course of her life. Suzette seeks the truth from her mother, Josephine, who is unwilling to shed light (and subsequently her own indiscretion) on Suzette's paternal uncertainty. Suzette later befriends Angela, who brings a startling reveal as to her heritage. Suzette's Saga is a coming-of-age story filled with love, pain, laughter and healing. Its gut-wrenching honesty illustrates universal concepts that cross color lines, touch hearts, permeate souls, and brings any audience to their feet, as they connect with the story. Suzette’s Saga is part of the Readers’ Series at the Atlanta Black Theatre Festival. The reading will be held on Thursday, October 9, 2014 at 7pm at The Porter Sanford III Performing Arts Center, 3181 Rainbow Drive, Decatur, GA in the Studio Room. A talkback on Suzette’s Saga and a book signing of Nanette Marie’s book, Mamas’ Drama, will be held immediately following the reading in the Backstage Café. Contact the Atlanta Black Theatre Festival at www.atlantabtf.org for ticket information. Secrets and lies I despise! Do I despise secrets and lies? Mamas’ Drama cries out the stories most people only whisper! Four generations face secrets and lies which create the “mama’s baby, daddy’s maybe” dilemma (father’s identity is uncertain). Journey through time (1929-2004) as main character Josephine transitions from an innocent girl into a silver fox. Emotions become unbridled as the females’ indiscretions are spotlighted. Josephine is a teenager when she meets the man of her dreams. They marry, but George continues his womanizing ways. Josephine seeks affection outside of their marriage as she professes, “Life is just what you make it!” Josephine’s daughter Suzette questions her identity and feels she is a result of her mother’s indiscretions. Suzette becomes determined to avoid the “mama’s baby, daddy’s maybe” dilemma and encourages son Devon to make the right choices. 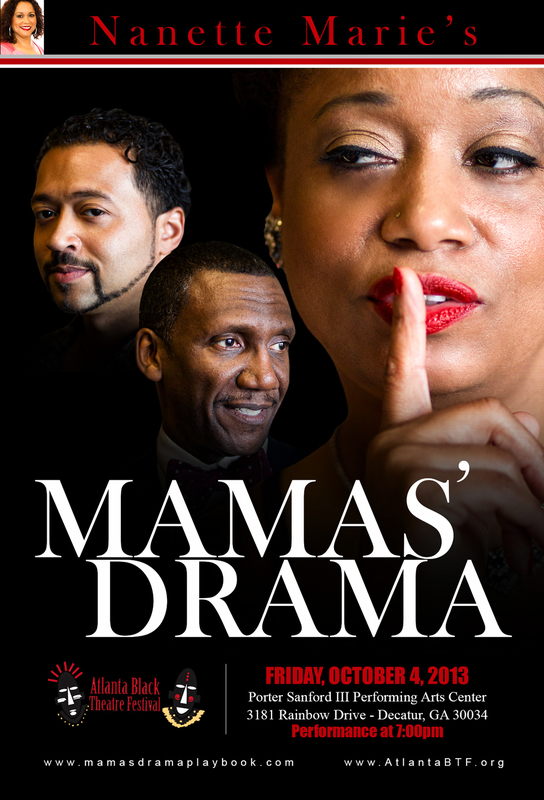 Based on a true story, Mamas’ Drama explores the impact secrets and lies have on those directly and indirectly affected. This provocative and healing play embodies guilt, shame, love and redemption. It puts the discussion on the table as to how untruths affect the family dynamic, and helps one realize they are not alone.